Endgame is a London based producer and DJ, and a founding member of iconoclastic collective Bala Club. Tearing into the London club scene in 2015 with his seminal debut release ‘Endgame’ on Portuguese label Golden Mist, he brought the cold hearted sound of his city into a hyper modern new focus. Pioneering a slowed and fractured sound, that combines corrosive melodies with artillery like percussion. With distorted fragments of grime, dancehall, tarraxo, metal and drill present in his sound, he has splintered and contorted these genres into a sound that is unmistakable his own. His previous releases include the visionary ‘Savage’ (2016) on New York’s PTP and incendiary ‘Flesh’ (2016), on legendary London Label Hyperdub. His most recent work is Consumed (2017, Bala Club) which sees Endgame return to his collective, to deliver a radical and uncompromising vision of a dystopian London. Featuring guest vocals from his forward thinking allies Organ Tapes, Yayoyanoh, Uli-k, Blaze Kidd and Rulez. Taking his dark ominous melodies and club shattering drums to a more vulnerable and reflective space. As a DJ, Endgame has hosted Precious Metals, a bi-weekly show on NTS for the last 5 years, and has intern come to define the sound of modern underground club music, with an eclectic, and visionary approach to selection. He has performed globally including tours in Asia, & North America, as well as playing numerous cutting edge festivals across Europe, including Unsound, CTM, Hyperreality, Lethargy, New Forms and Creepy Teepee. He has also performed live on online platforms Boiler Room and Just Jam, as well as providing trailblazing mixes for the likes of Annie Nightingale (Radio 1), Fader, Fact, Mixpak, Astral Plane, Redbull Radio, Mixmag and Rinse Fm. Having worked with numerous visual artists including Daniel Swan, Hannah Diamond, Werkflow and Kyselina he has developed a distinct and striking aesthetic. 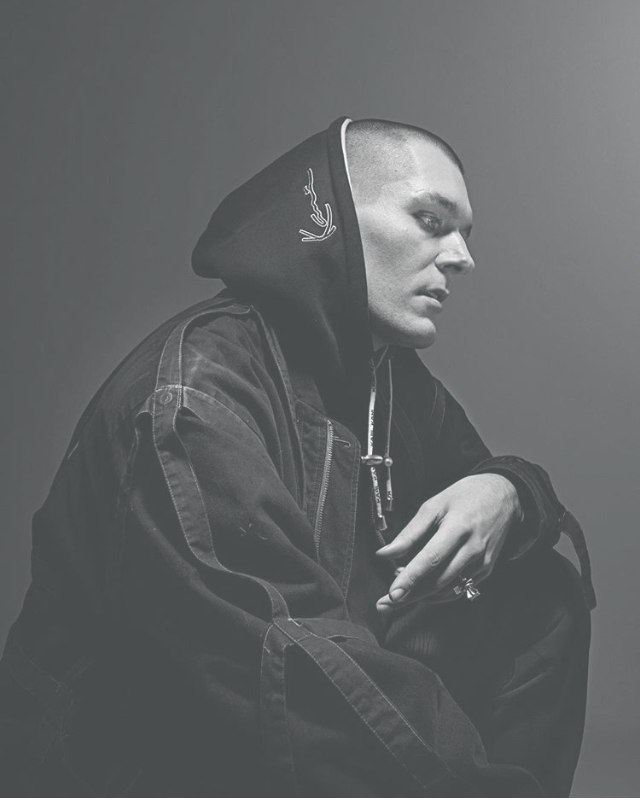 Taking cues from his interest in counter cultures and underground movements, he has created album art, videos, and merchandise, that help to illustrate his unorthodox perspective.